Probiotic Group has the ambition to become one of the leading brands in the field of cleaning and care. We stand for innovative environmentally friendly products by adding helpful microorganisms. Ensuring that consumers experience a better sense of well-being and safety. To provide verified high-quality, natural and eco-friendly products that protect living beings from various infections. Tiny warriors, also called probiotics, are since earth has been built our best assets to fight against the strongest microbes. We’re aiming to grow our business while reducing our environmental footprint; the company will make a healthy profit for its owners and provide a rewarding work climate for its employees. To help people be healthy. The company enables this vision with their natural and evidence-based products which are, basically, protecting living beings from various infections. We have ambitious plans for sustainable growth and desire to revolutionize the way the world deals with microbes. 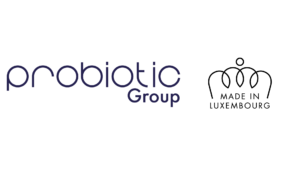 To download the organizational chart of Probiotic Group, click here.